It’s no secret that the media landscape is changing at warp speed. A gradual decline in print readership—weekday newspaper circulation fell 11 percent in the past year, according to the Pew Research Center—has given way to a surge in digital consumption, as social media engagement and mobile usage grow each year. Today, it’s five-times more likely that a consumer is accessing their news online than in print. This dynamic is giving life to new media and quickly changing the way companies must communicate with their audiences. Law firms are no exception. Now is an ideal time for attorneys and their marketing teams to step back and assess their firm’s communications strategy. It’s not enough to rely on the same methods that worked five years ago. Staying visible and competitive today means executing an integrated campaign that aligns a firm’s business goals with communications tactics that ensure the right messages are reaching the right people on a consistent basis. Here are five priorities that law firms large and small should consider as they develop their approach to marketing in the year ahead. While the news landscape is becoming more fragmented, the third-party credibility that derives from earned editorial coverage is still invaluable. This isn’t about blasting out press releases. In fact, our firm rarely writes press releases on behalf of legal clients. An effective media relations strategy today is built on developing strong relationships with journalists and anticipating their coverage, keeping attorneys top of mind as reliable sources who are experts within their respective practice areas, and creating compelling story lines—both locally and nationally—that shape the news narrative and align an attorney’s practice with the latest trends in their space. Today’s dizzying media landscape means firms can’t assume their target audiences will read that front-page feature story or stumble upon their website’s newsroom. The brands that standout are those which communicate in a variety of ways, never relying on media relations alone. This is where a firm’s marketing toolkit comes into play. Any firm committed to creating a strong brand footprint and using marketing as a mechanism for supporting business growth must develop a system that ensures favorable news coverage, timely insights from attorneys, and updates about community involvement are shared in a proactive and consistent manner. There’s no one-size-fits-all approach, but every toolkit should consider timely website updates, recurring marketing emails, real-time social media engagement and special events. Faced with the reality that the number of media outlets dedicated to covering the legal industry is diminishing, forward-looking law firms are embracing owned content as a vehicle for telling their story. Videos, email newsletters, blog posts, infographics, podcasts, white papers and sponsored content in credible publications can be resourceful tools for expanding the reach of specific messages and raising the profile of key team members. The thought of developing time-intensive content may be daunting in the eyes of busy attorneys intently focused on their clients, but it’s a critical piece of any integrated campaign. Increasingly, it’s the digital realm where law firms are discovered, attorneys are researched and reputations are defined. The legal industry is catching on to this trend: nearly 60 percent of law firms now have a LinkedIn presence, 35 percent are on Facebook and 21 percent are using Twitter. An effective social media strategy coupled with original, timely content can help establish and expand a law firm’s digital footprint—and that of its attorneys. This is critical to building awareness online, creating new relationships with relevant organizations and referral sources, and maintaining a visible presence on search engines. It’s tempting to dive into social media head-first, but a well-laid plan is a must. Any social media campaign should be customized, targeted and consistent. That means knowing your audience and their social media habits, understanding what type of content works best on each platform, and populating your channels with compelling content regularly. It’s a tall order, but social media is a valuable piece of the marketing puzzle for any law firm committed to their brand online. For all the emphasis on marketing today’s law firms through high-tech methods, sometimes a high-touch strategy is the best approach to forging new relationships and bolstering existing ones, both internally and externally. Whether it’s creating an educational conference around a specific practice area, sponsoring a nonprofit in the community, or simply gathering clients to say “thank you,” events can go a long way toward strengthening company culture and capturing new clients while growing existing business organically. In many cases, events also open the door to social media engagement, networking and media opportunities. With adults ages 18-30 now outnumbering baby boomers as the nation’s largest living generation, new methods of communication are as important as ever before. Savvy law firms are undertaking integrated marketing campaigns designed to engage with current and future clients through new media, all with an eye toward building a sustainable business. 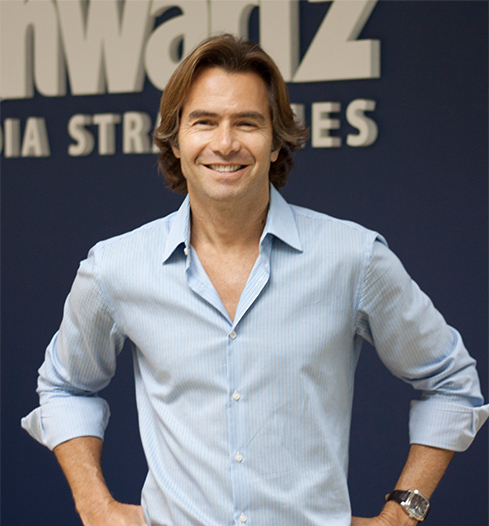 Tadd Schwartz is president of Schwartz Media Strategies, a communications firm based in Miami. Contact him at Tadd@schwartz-media.com. Read this column at the Daily Business Review website here. Reprinted with permission from the January 18, 2019 online edition of the Daily Business Review © 2019 ALM Media Properties, LLC. All rights reserved.